Sir Edward Grey is sent to Hallam to investigate the death of a Crown-appointed official, but once he is there he hears rumors of the mysterious Unland?the wetlands around the town?and the creatures that inhabit it. Grey?s skepticism vanishes when he encounters the monsters of Unland, and he realizes that Hallam is a place of secrets. 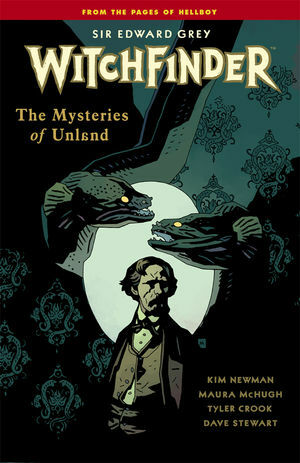 Collects Witchfinder: The Mysteries of Unland #1?#5. * From Anno Dracula novelist Kim Newman!